Keep your beaks up, monsters. Friday is on the way. This entry was posted in Cute and tagged adorable animals, animals, baby animals, chickens, chicks, coffee, cute, cuteness, omg so cute squee, so cute, tiny adorable things, wednesdays. Bookmark the permalink. Cutttteee! Yesterday I was having an overwhelming afternoon, so I youtubed a bunch of cute/funny kitten videos. It’s amazing how that just brightens your day right up! Whelp I just found out one of my favorite bands broke up. I’m gonna need all the kitten videos today. Those chicks and my right hand from November to March have a lot in common. It’s funny because they need to stay warm but we all need to stay cool. Circle of life. 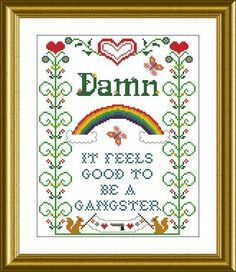 Please stitch that on a pillow. 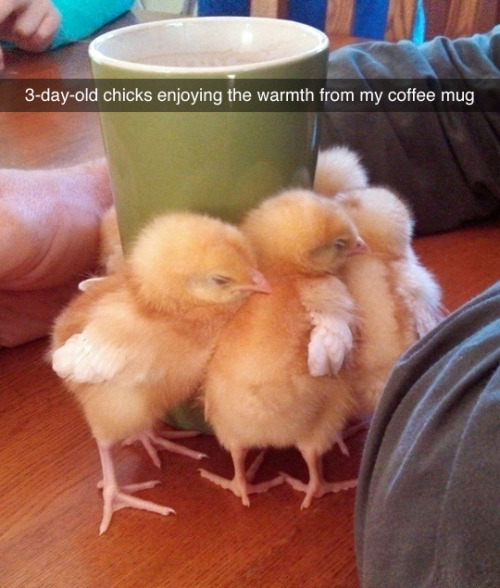 That’s very cute but maybe get those chicks some heat lamps or something! I’m very worried about them now!